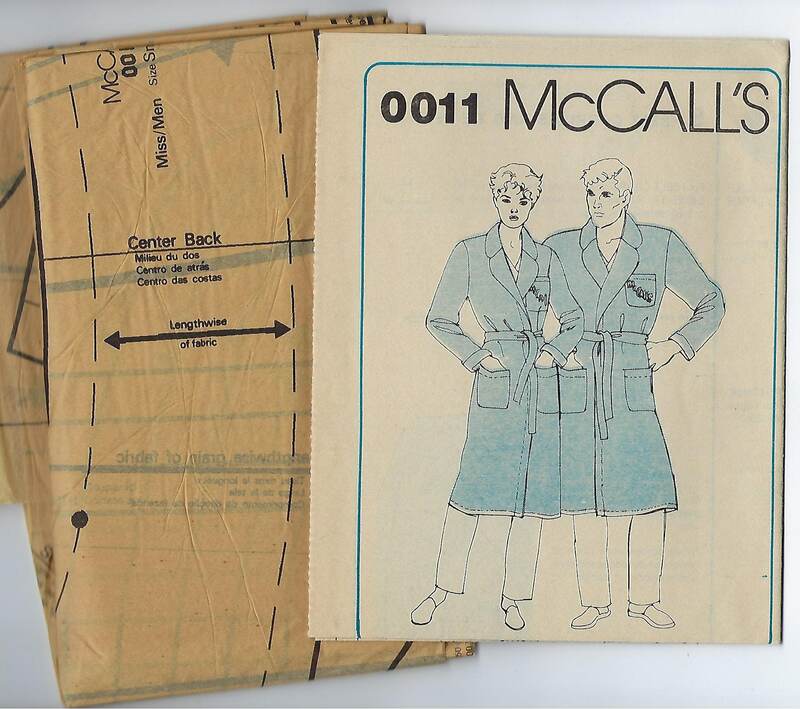 Package includes patterns and instructions to make MISSES and MENS Robe. 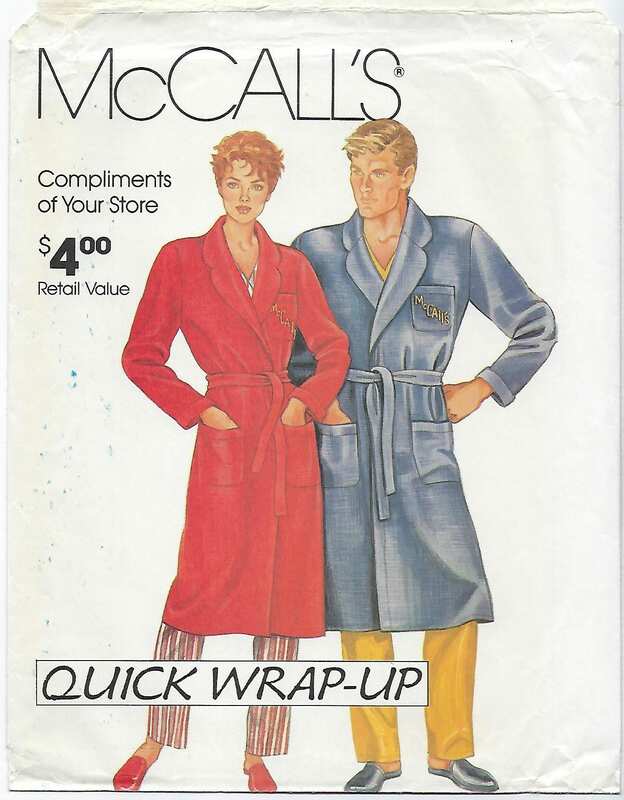 Robe has notched collar, slightly extended shoulders, patch pockets and sleeves with bias bands, tie belt and double belt carriers at side seams. 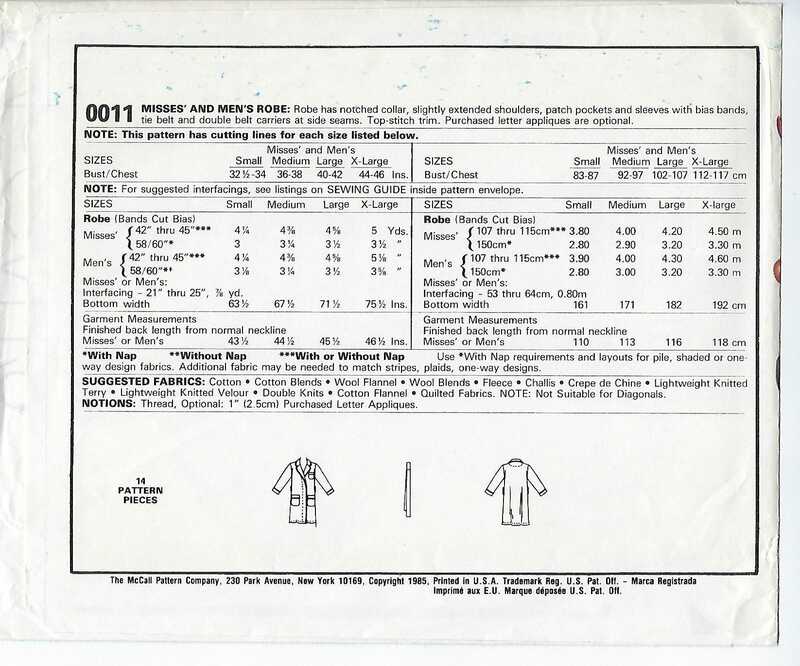 Top stitch trim. Purchased letter appliques are optional.